Winter is Here! Ice Fishing is Near! After a brief jump in the + temps last week we are finally back to the -‘s here in southern Ontario and in a big way. I woke this morning to a chilly -12 degrees Celsius which, as we hardwater lovers know, is true ice making weather. 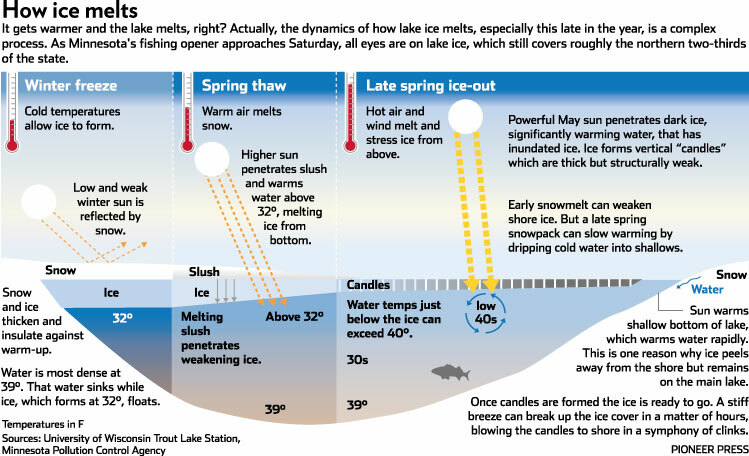 If the lakes have cooled enough, temperatures like these can generate fishable ice in as little as three days! 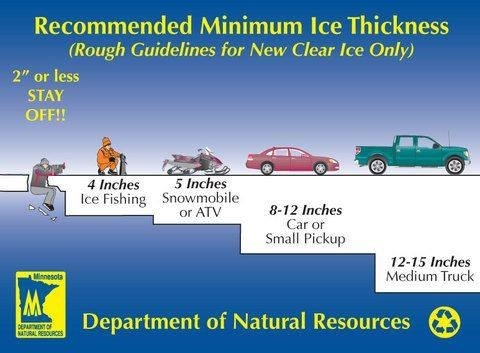 Although the majority of ice in our area is still not yet safe, I am guessing the ice will be thick enough to fish by the Christmas holidays. For those interested in following discussions on ice conditions in Southern Ontario, check out the following link. And for those of you who may be thinking about testing the “hardwaters” early, keep the following info-graphics in mind. We saw people out on 2 inches last year, when it was a warmer Fall and early winter. Snowshoes, 2X4s, etc strapped to their feet to distribute their weight. I might not like drilling through 10+ inches by hand, but I feel safer when it’s thicker. I agree, the more the better. Even still Im rocking the survival suit almost everytime I go. Where abouts do you fish the hardwater? Last year was my first time ice fishing, and we stuck to the lakes here in Madison. Regular fishing is rough here, and ice fishing was no different. We caught two whole fish in three months. As a result, I sort of hate ice fishing, but I’m resolved to giving it another chance. Particularly if it comes with a power auger. And less ice time with more warm snacks and food. The food bit is my department, and I’m working on it. Well I wish you good luck and tight lines!